Optical Crystal Award Cool Blue Series Tower 5”x 8¾” Blue Crystal Tower on base. Free engraving. 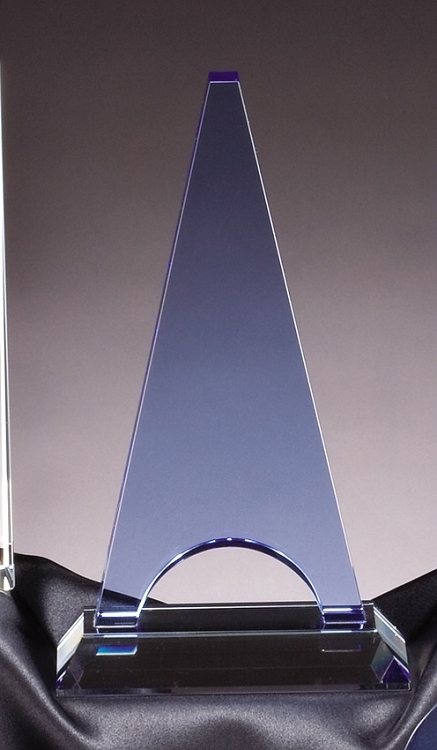 Uniquely designed Crystal Trophy for Executive and Corporate Awards.